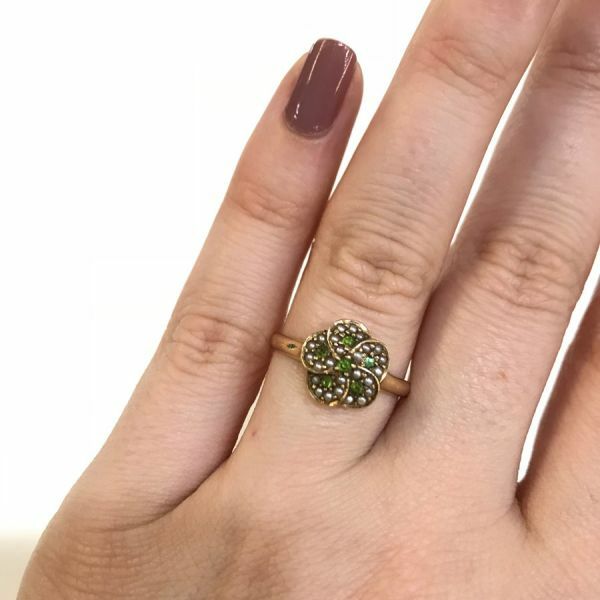 Custom made 14kt. 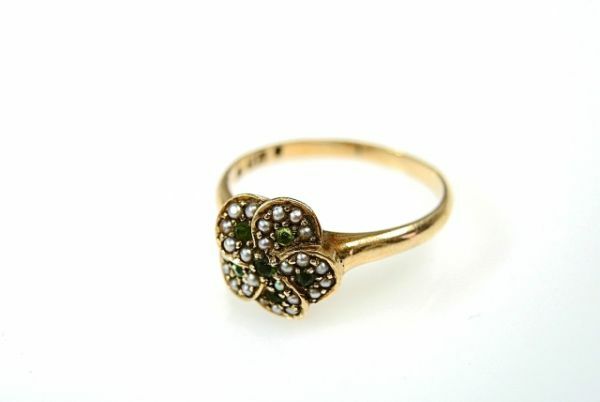 yellow gold ring featuring 6 bead-set round facetted cut tsavorite (green) garnets, est. 0.12ct (clarity: LI & colour: medium intense yellowish green) and 25 bead-set seed pearls approx. 1.3mm which are creamy rose with silvery overtones in colour.